Conventional wisdom says that the conventional career path is no more. Twists, turns, sidesteps, and maybe even a few missteps are the norm as we stride along our vocational path—one, experts say, that may include as many as 10 career changes. Dana Caspersen M.F.A. ’08 (dance) is surefooted as she choreographs her career switch from professional dancer to conflict management consultant, author, and mediator. Her 31 years spent dancing on the world’s stages as a signature performer for Ballet Frankfurt and the Forsythe Company have more than prepared her for what others might see as a dramatic career shift. She did, too, at first. Dancing was her dream, and she has enjoyed an impressive career as a performing artist. 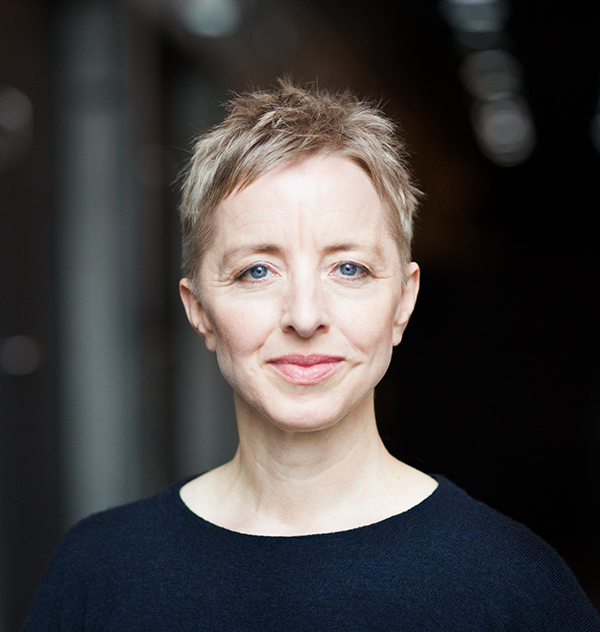 Caspersen began her career in 1988 as a dancer with Ballet Frankfurt then with the Forsythe Company, founded by William Forsythe, whom she married in 2000. Nominated for the Laurence Olivier Award for Outstanding Dance Achievement, Caspersen received the 1999 Bessie Award for Outstanding Creative Achievement. Her artistic collaboration with her husband pushed boundaries internationally. In 1997, Artangel, the London-based arts organization, commissioned the couple and a musical collaborator to create a public installation with the world’s largest bouncy castle. On it, the audience—invited to bounce—became the dancers. The installation had numerous “perfomances” across Europe over several years. In 2008, she earned her M.F.A. from the Hollins graduate dance program without an undergraduate degree. The program offers credit for professional experiences as well as a deep understanding of dancers’ performing and touring schedules. Hollins also worked around her schedule, which included, at the time, recovery from hip surgeries. Caspersen had already shown that she was undaunted by physical limitations. As a teenager, she had worn a restrictive scoliosis brace for four years. She nevertheless became a professional dancer at 18. Not long after, at the North Carolina Dance Theatre program, Caspersen met and danced with Jeffery N. Bullock, associate professor and chair of the Hollins dance department. It was this friendship that led her to Hollins. “The Hollins program is really oriented to professionals to recode their experiences, see better what they’ve done, and help them move forward into the world,” she says. Two years after receiving her M.F.A., Caspersen earned a master’s degree in conflict studies and mediation from the Woodberry Institute of Champlain College in Vermont and began practicing as a coach and mediator in conflict resolution. In working with clients, she quickly discovered that, as with complex choreography, effective conflict resolution is anchored by simple steps. Inspired by Lojong, the Buddhist mind-training practice based on a set of 59 proverbs, Caspersen compiled everything she had learned and experienced in the field, whittling her initial list from 124 to 17 principles for conflict resolution. These action steps, detailed in her book Changing the Conversation (Penguin, 2015), examine what is behind the conflict and present the reader understandable, relatable language and decisions with which to navigate effective resolution. In addition, Caspersen created easy-to-understand YouTube videos for each principle. With Forsythe dancers as her actors, the videos explain the strategies, such as Principle 2: Resist the Urge to Attack: Change the Conversation, and Principle 10: Develop Curiosity in Difficult Situations. With Violence: Recode, she’s not asking people to dance, but rather to find physical things to express conflict that will make dialogue more expansive. When 60 to 70 people in a room use their bodies to express difficult issues, she says, they experience a connection without devolving into unsuccessful dialogue. Over the next year, she is planning Violence: Recode workshops in Boston, Dresden, London, and New York. One step inspires another, including a possible book on violence reduction and a program to help children navigate conflict. Caspersen is a highly sought-after speaker—she recently presented a workshop in Frankfurt for performers—and continues to coach and mediate for clients. Whether writing, speaking, leading workshops, or working with individuals, she strives to help others understand her belief that “conflict is a place of possibility.” Caspersen’s careers and how she artfully choreographs one to inspire the other are proof positive that change is also a place of possibility. Sarah Achenbach is director of communications for Garrison Forest School in Baltimore. She is a frequent contributor to Hollins magazine.